Sunday we had 2 special dinner "guests", but we were missing Jeff. Cory let me know on Friday that he and Rachel (his beautiful girlfriend) would have time to stop by on Sunday and eat dinner with us on their way back to Tulsa. For those of you who don't know, Cory is our oldest, he attends Princeton Theological Seminary in New Jersey and is doing a Chaplin internship in Tulsa, OK this summer. Time with him is precious! When he is in Texas he has eleventy billion other people to see, hug, make smile and bless so we cherish any and all time with him. Cory is one of 16...yes he has 15 siblings total, so saying he is busy is an under statement! All day the kids talked about being bummed that Dad was going to miss our dinner. Usually if Cory is here Jeff is here, but he had something scheduled he couldn't get out of. I also heard how excited they were about Cory and Rachel coming. If you are close to our family you know that our kids adore their oldest brother. They treat him as if he is a rock star, which he totally is to them. When he is coming over, our other kids can be found waiting by a window hoping to be the first one to yell out "CORY IS HERE, CORY IS HERE!!" All day long they checked the time, asked if he was almost here, even sat at the window 45 minutes early. I'm telling you these kids are dedicated! Today while all the chatter and excitement was happening I noticed something...I was hearing Rachel's name as much as I was hearing Cory's! "Rachel is coming, I can't wait to see Rachel, Is Rachel almost here?" We haven't had the chance to spend a lot of time with Rachel, but the time we have had with her has been wonderful! Our girls (me included) especially love her; she's so much fun, does great hair styles for them and is always up for whichever direction they are dragging her in. 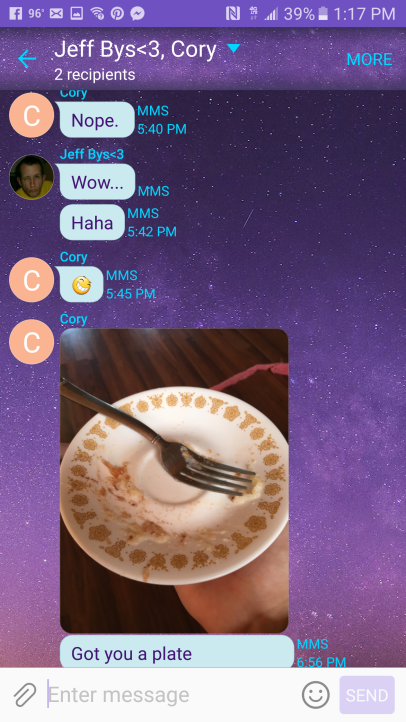 When Cory is coming I always ask what he wants to eat, he so not picky and will eat just about anything you put in front of him, just like his Dad. But I like to make whatever he wants when we have him home. Our time with him and Rachel is so special to us that I want him/them to feel special. I don't know...I guess that's just a Mom thing, anyways he requested Mexican food. I was super excited because I love Mexican food so much, but it always seem like a lot of work, read a lot of chopping. I will often skip toppings or skip Mexican food all together. Well not for Sunday night's dinner! The kids and I decided that we would make tostadas with ALL the toppings. When making our grocery list we decided that we needed homemade salsa, lettuce, tomatoes, guacamole, cilantro, cheese, jalapeños, sour cream and pico de gallo in addition to our refried beans and ground beef. We actually started chopping on Saturday to be ready for our big meal on Sunday. Five of the kids helped with making/chopping/preparing ourdinner. Dinner turned out great and I think everyone at least had seconds. Once we were all nice and full from dinner, we had to have sopapilla Cheesecake! 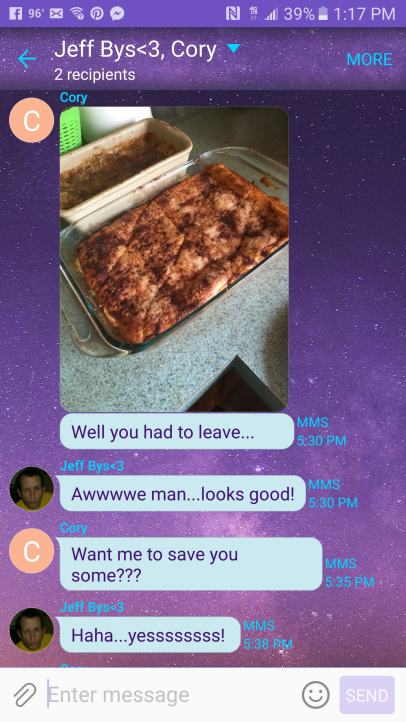 This happens to be Jeff's very favorite dessert and Cory may have been taunting him via text about missing it. When it was all said and done we had a little over 2 hours with these precious people. Instead of focusing on how brief the minutes were, we chose to celebrate the time we did have. Being just months away from leaving the country has helped us be more intentional with our time.